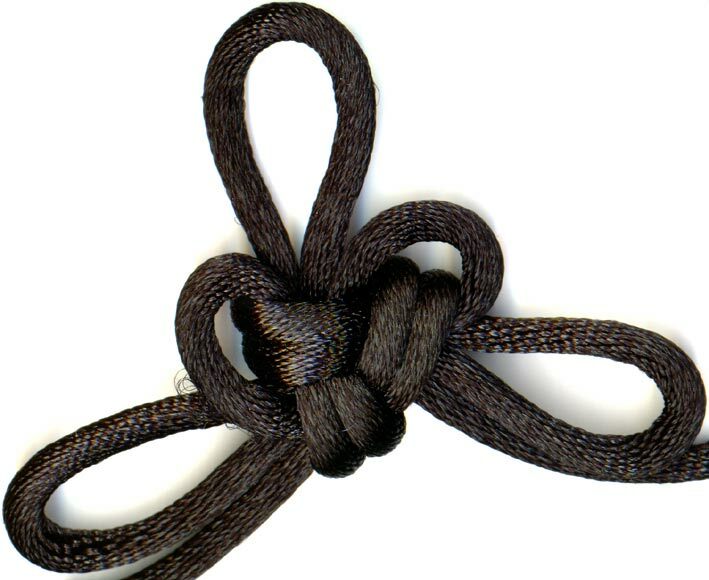 But in any case, because pictures make a blog infinitely more interesting, here's the triangular good luck knot. Nothing tricky here, just make a 'Y' shape with bights and crown it twice. Reverse direction for the second crown for a crisper shape.